Place one-third of the ice-cream into the bowl of an electric mixer and beat for 30 seconds or until softened. Place in the freezer and repeat the process 2 more times with the remaining ice-cream. Stir the mince pie through the ice-cream and freeze for 1–2 hours or until firm. Place scoops of the mince pie ice-cream onto half the biscuits and sandwich with the remaining biscuits. Keep in the freezer until ready to serve. Makes 12. 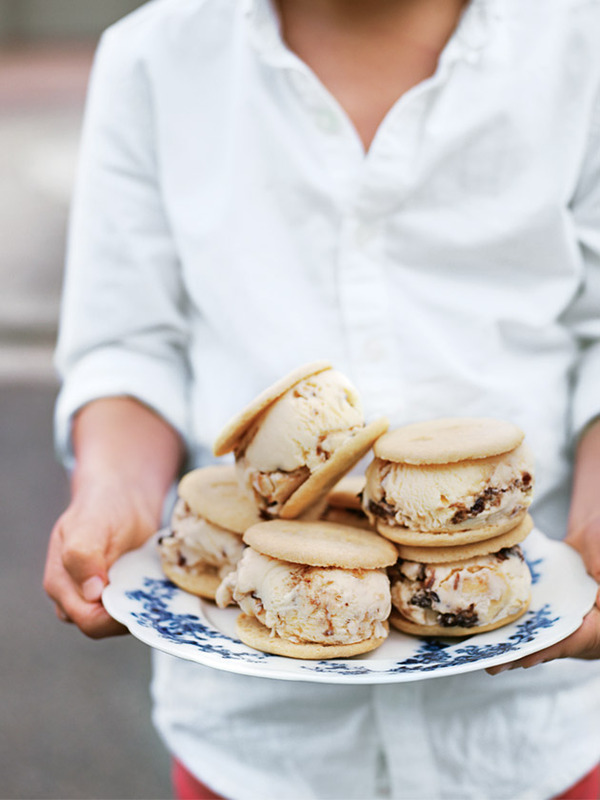 Tip: These ice-cream sandwiches can be made 2–3 days in advance and kept frozen.